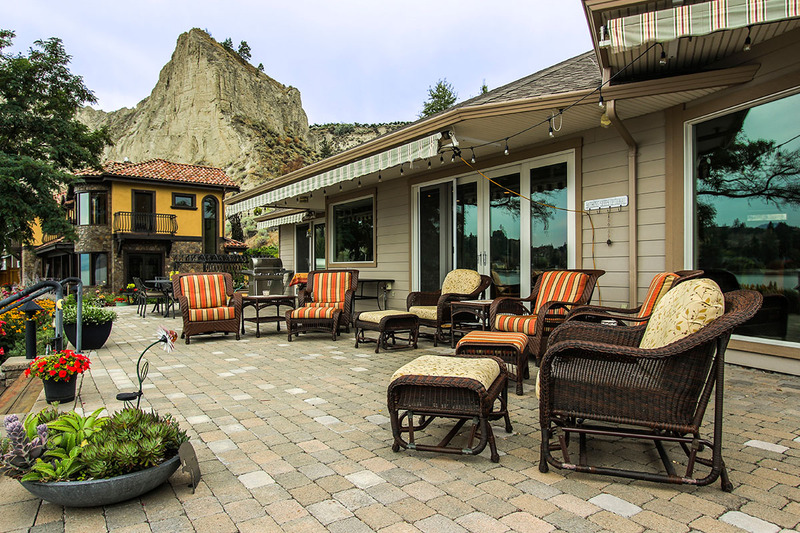 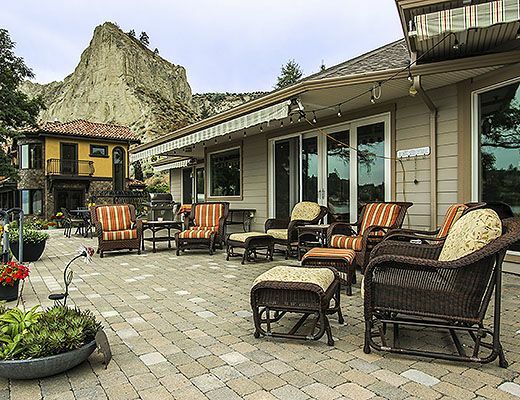 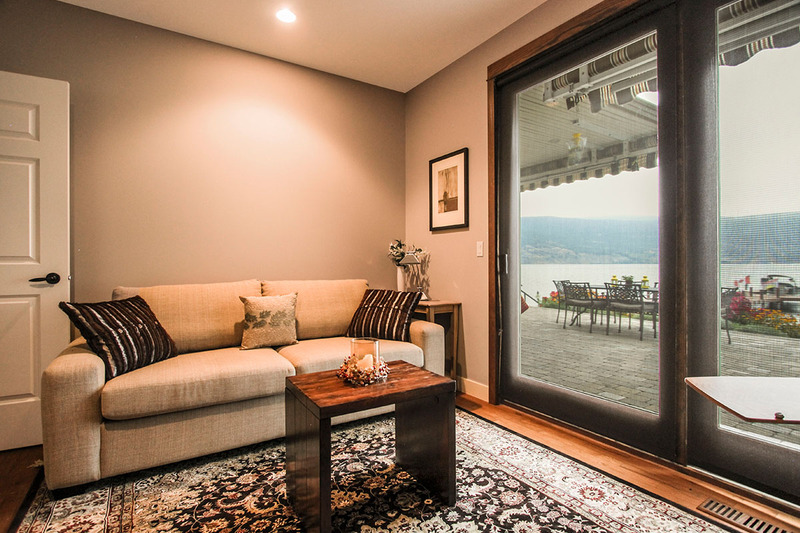 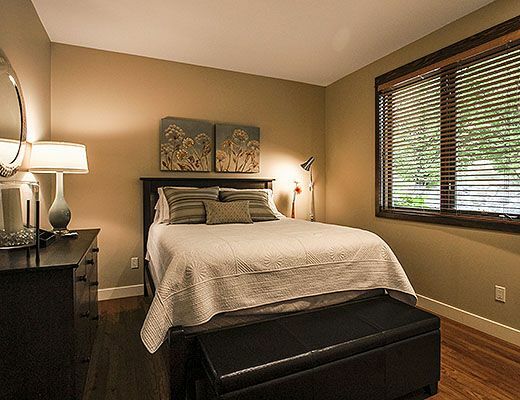 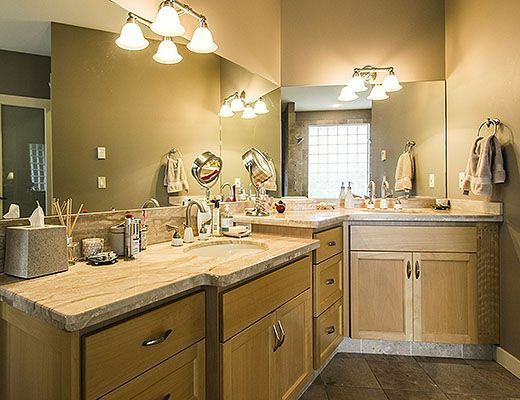 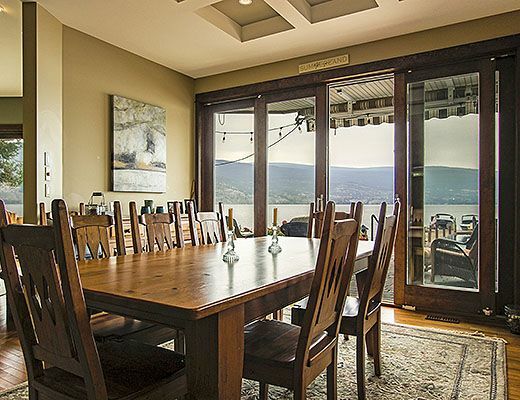 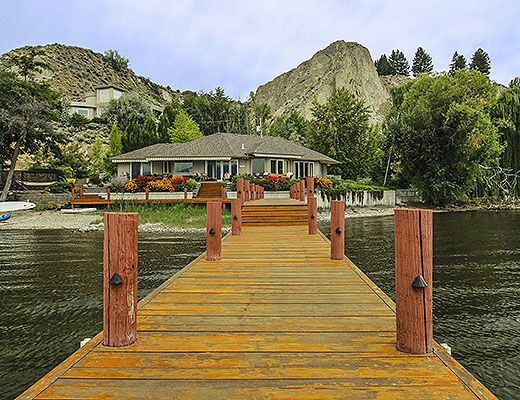 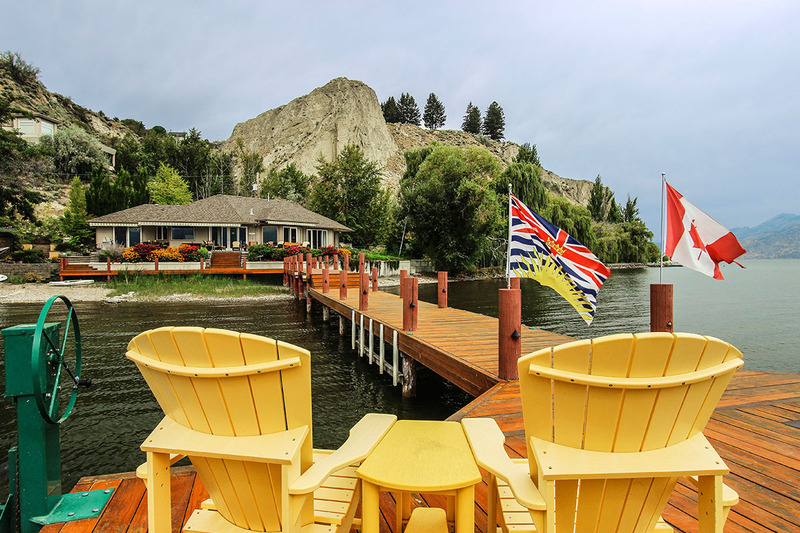 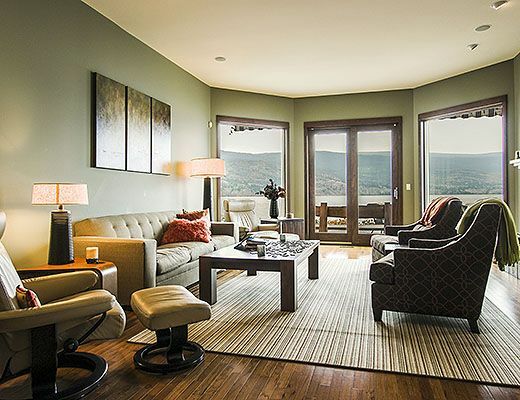 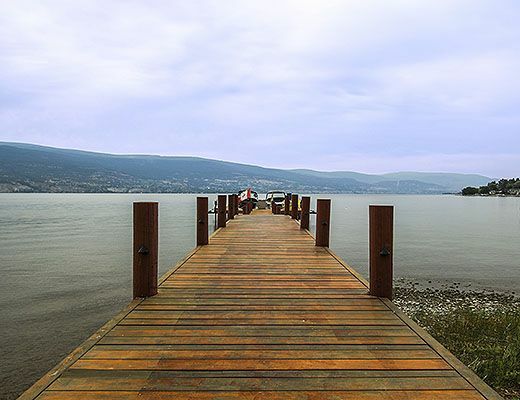 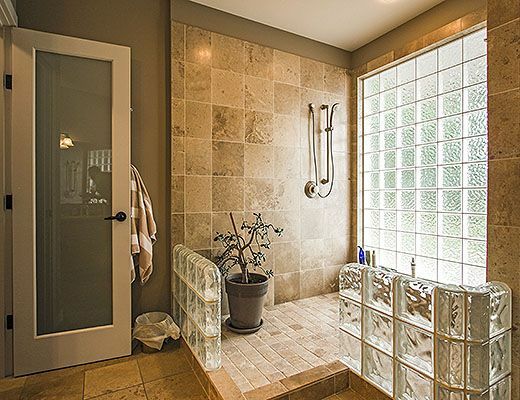 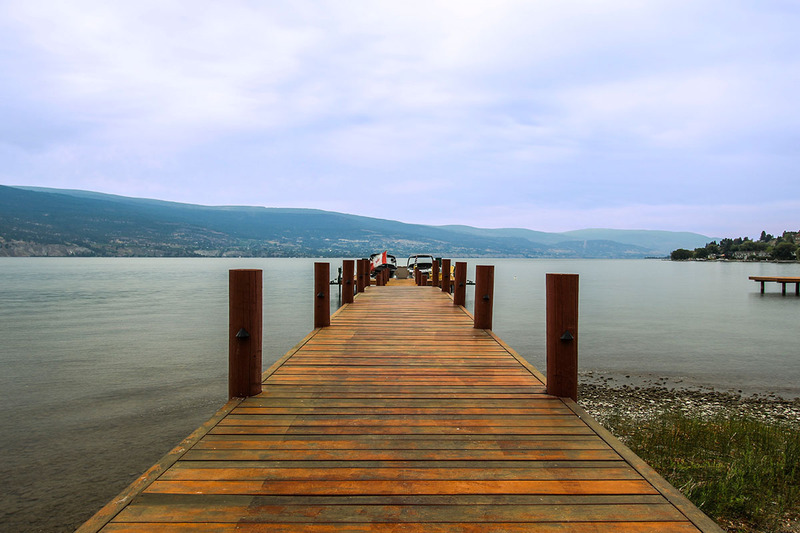 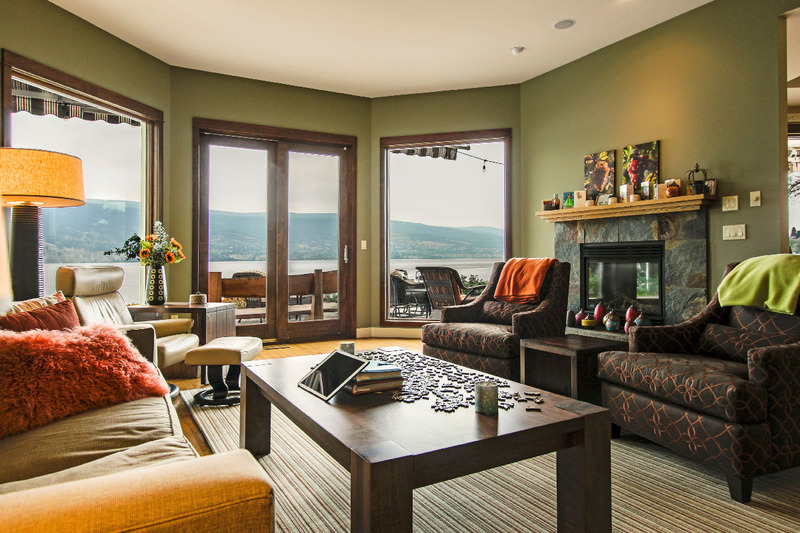 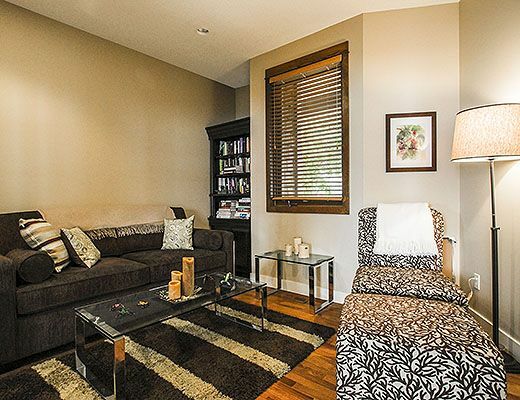 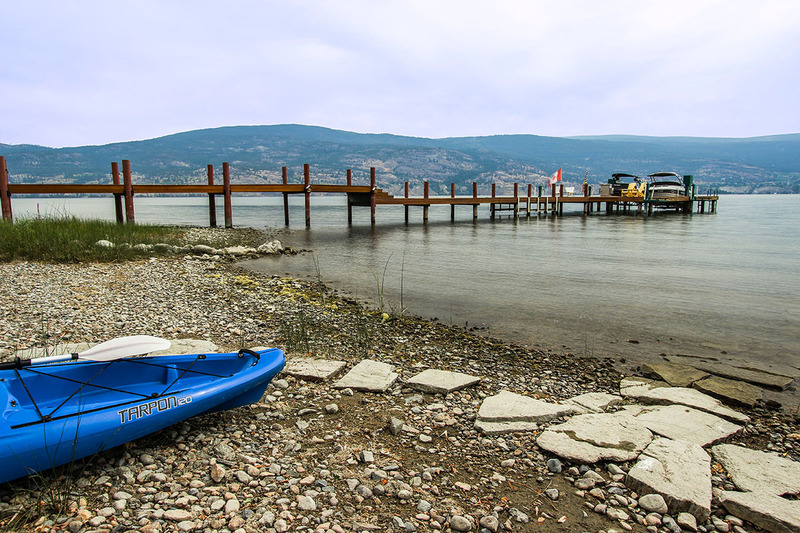 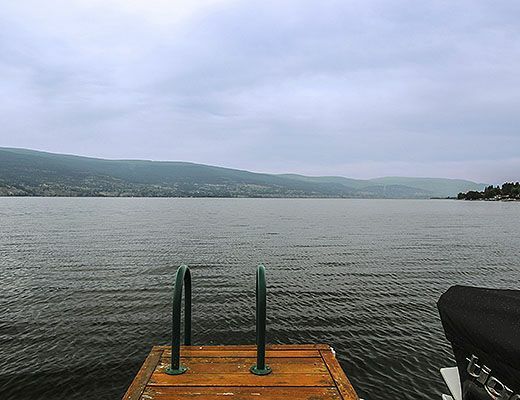 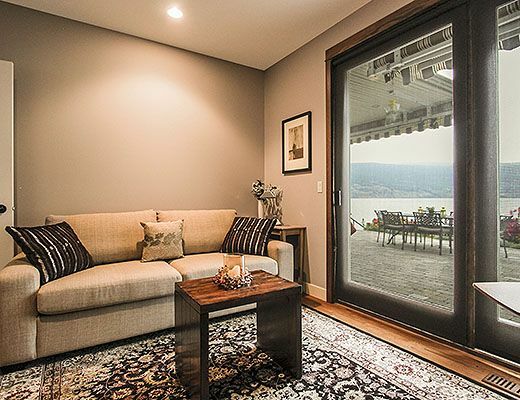 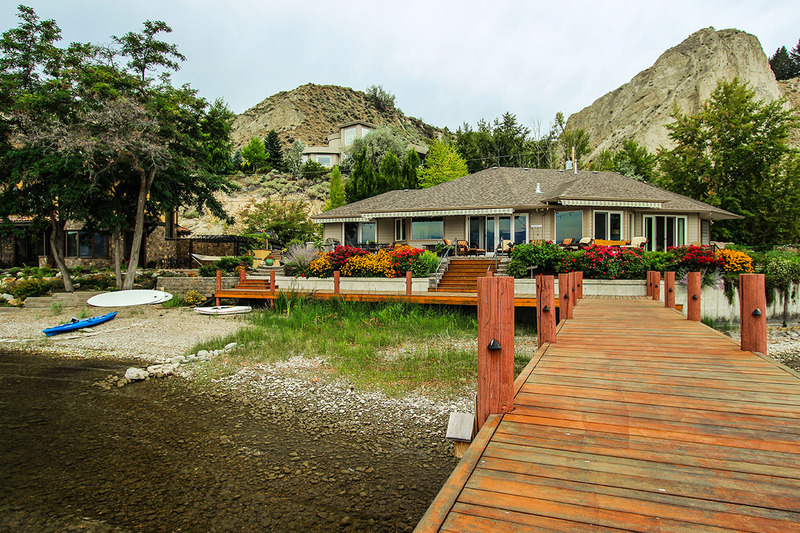 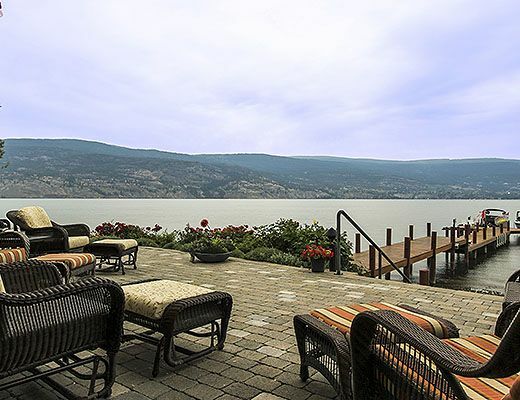 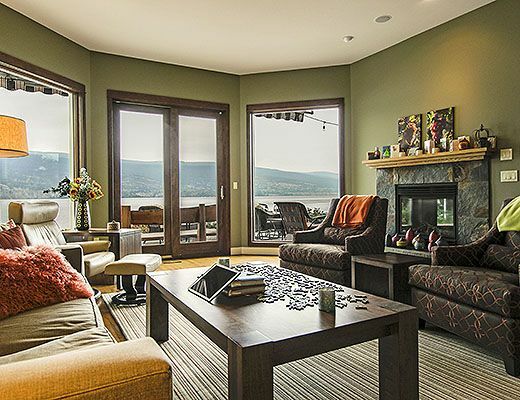 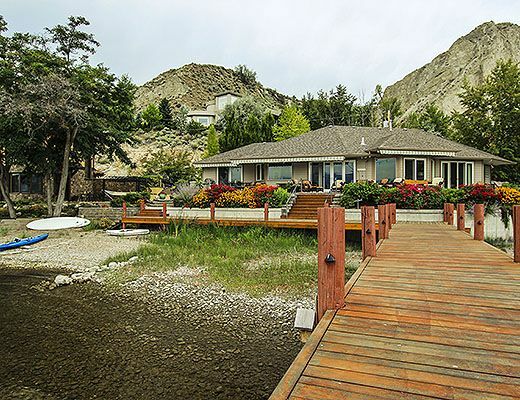 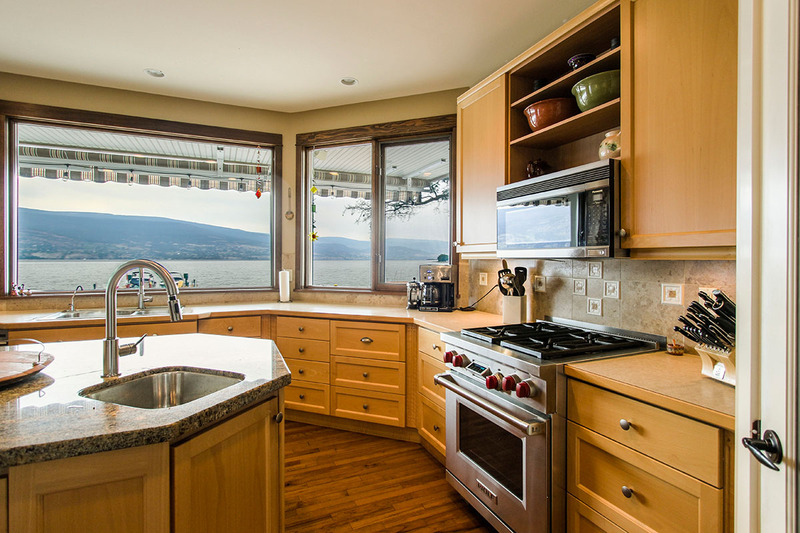 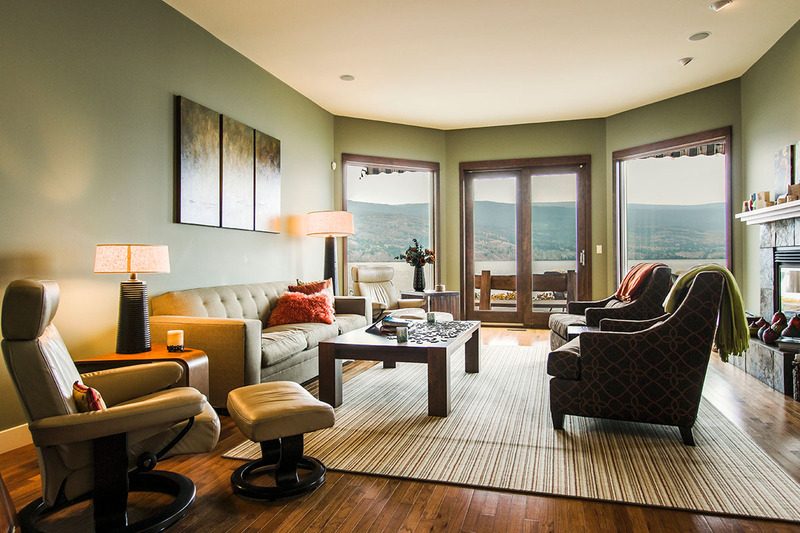 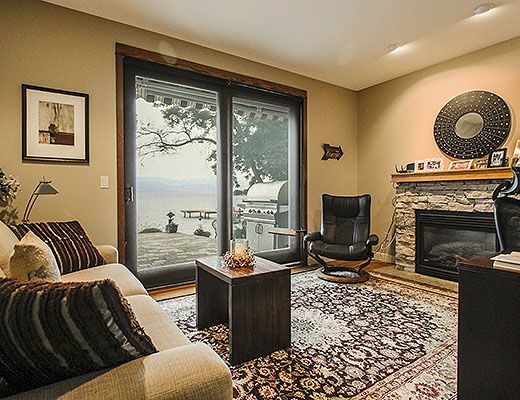 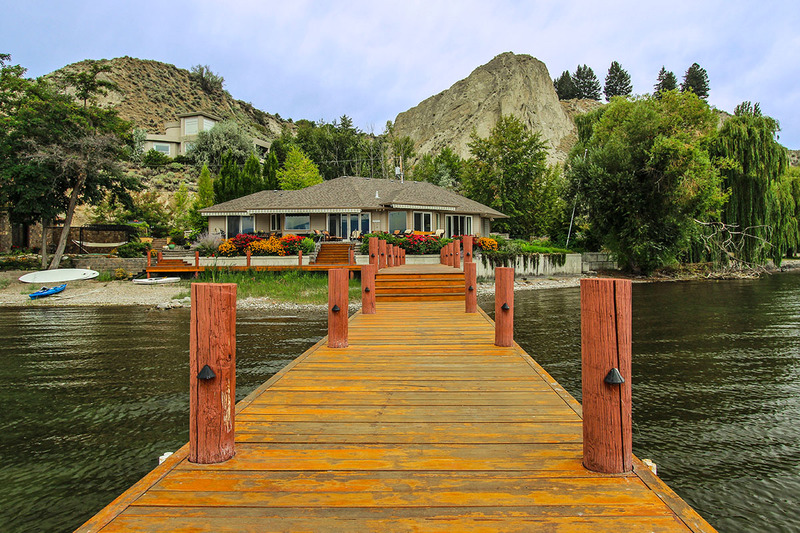 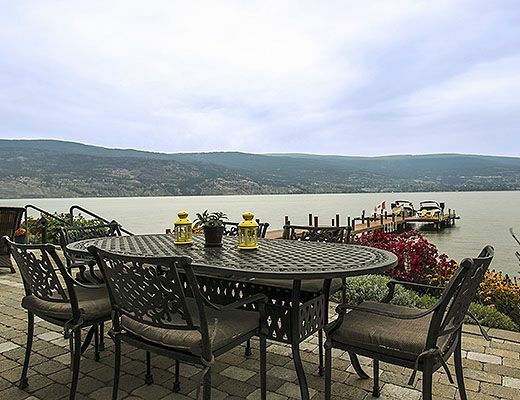 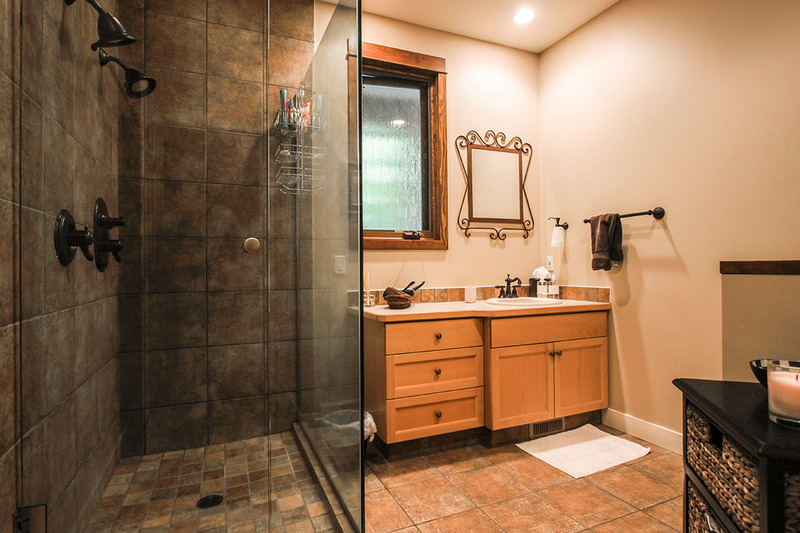 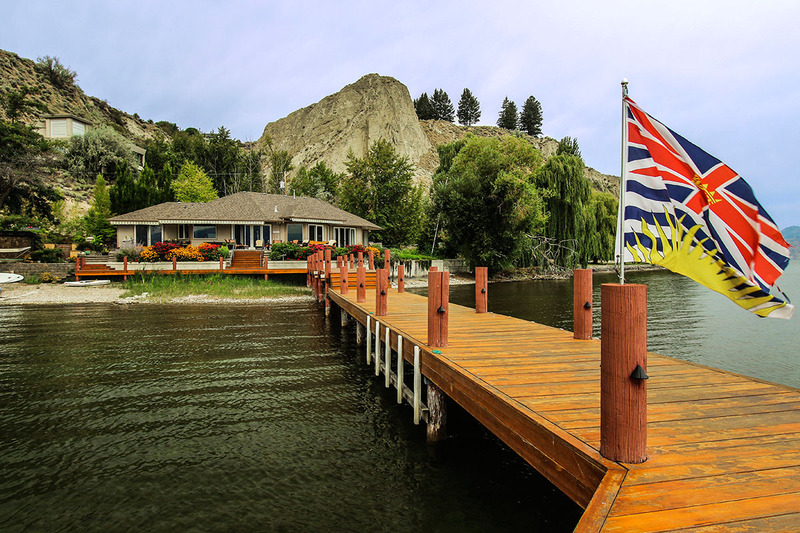 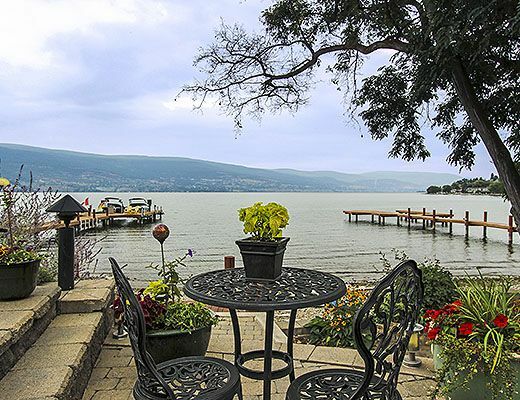 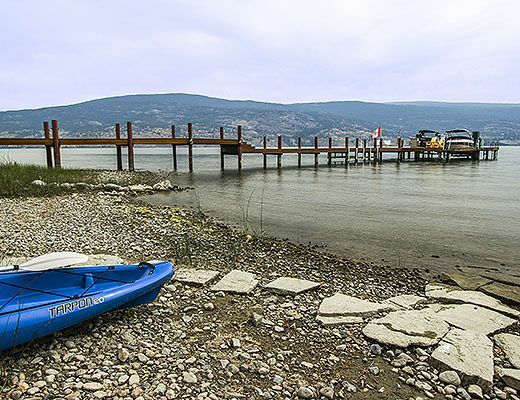 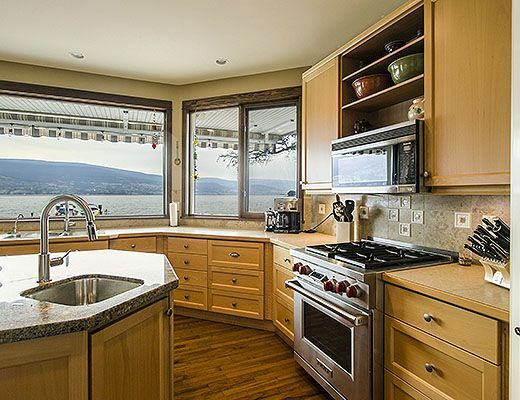 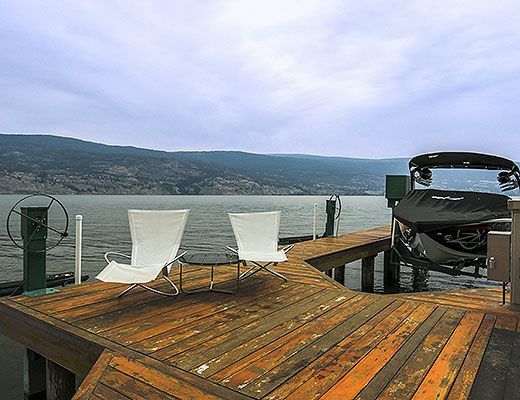 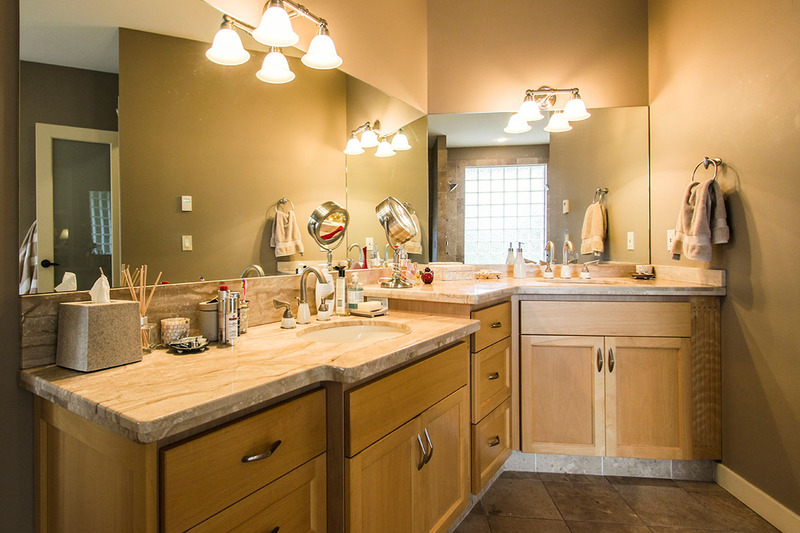 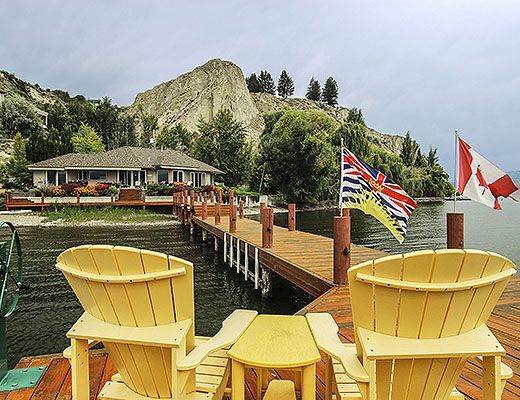 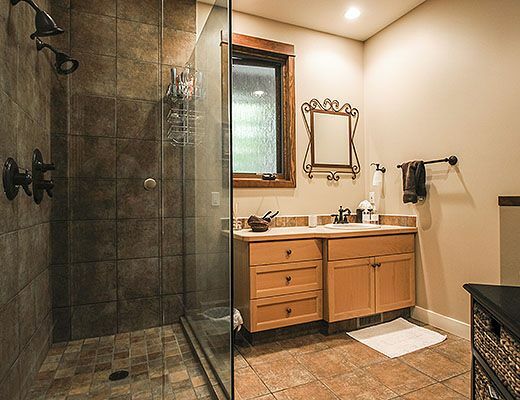 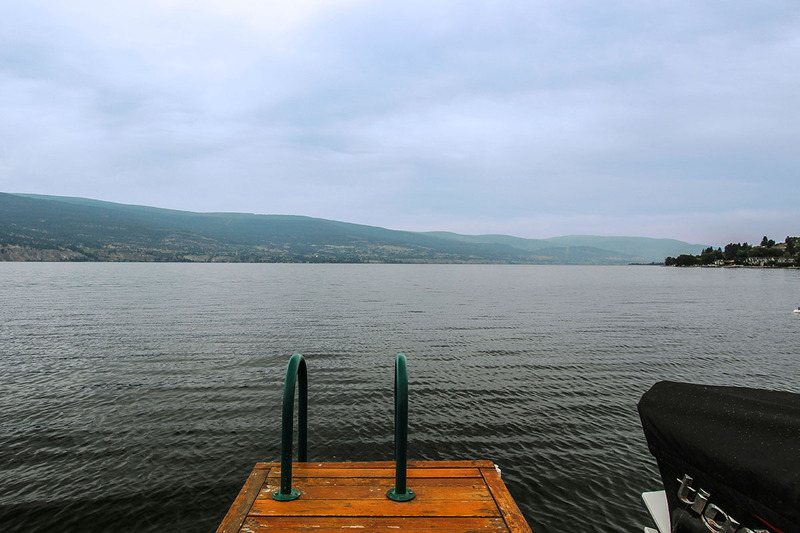 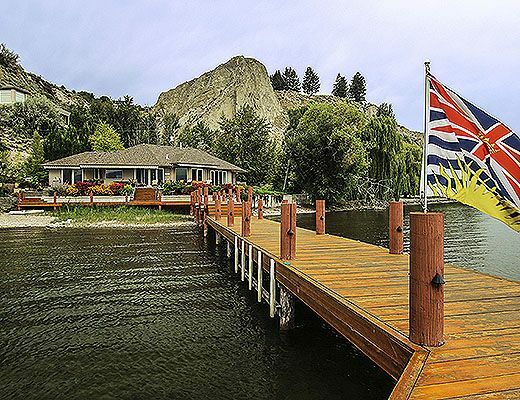 Located on a quiet stretch of beach along the shores of Okanagan Lake, this 3 bedroom + den, lakefront vacation home offers a peaceful summer retreat for groups of up to 8 guests. 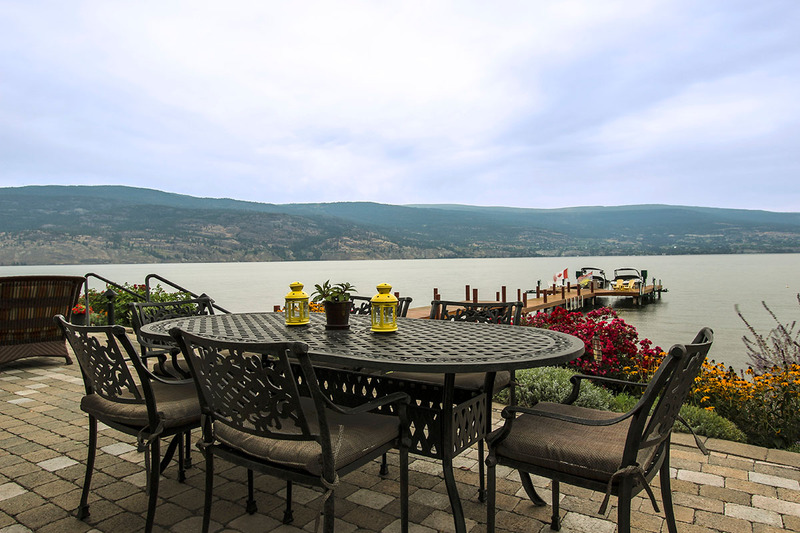 The beautiful lakefront patio overlooks the water and is the perfect place to enjoy a BBQ meal and a glass of wine. 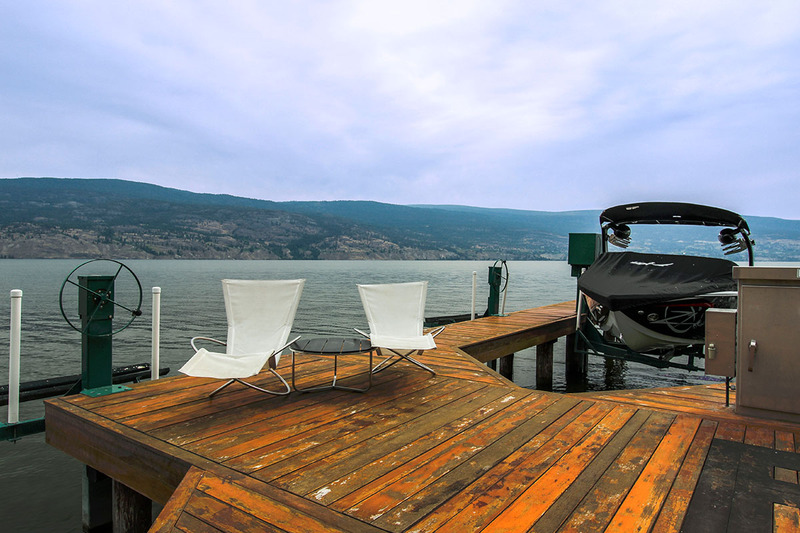 Guests enjoy a private beachfront, use of the dock and one of the available boat lifts. 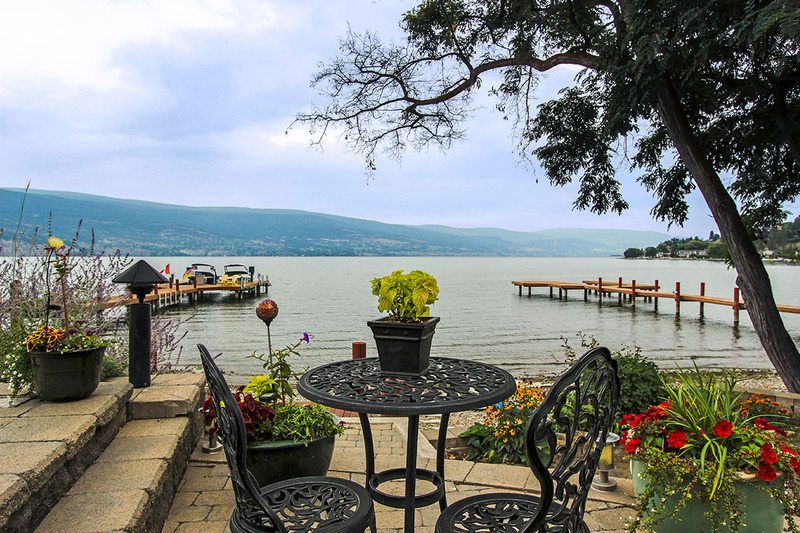 Comfortably furnished and offering lake views from nearly every room in the house, this property is ideal for small families or two couples travelling together. 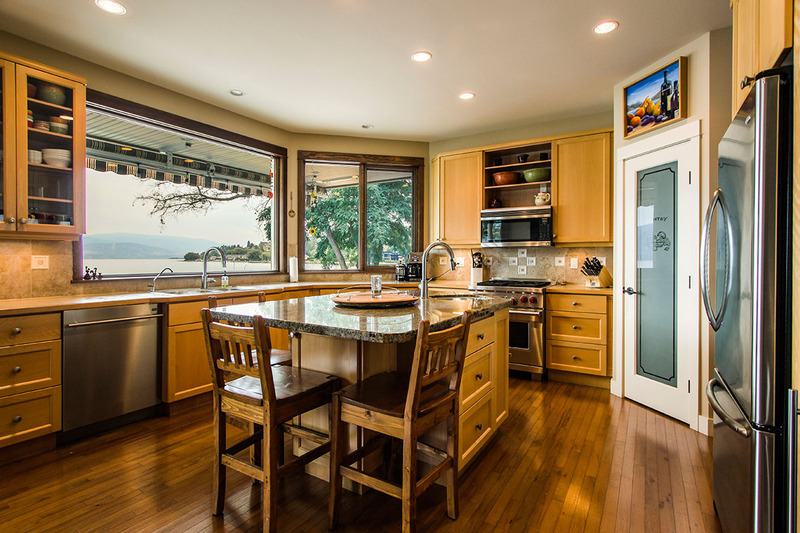 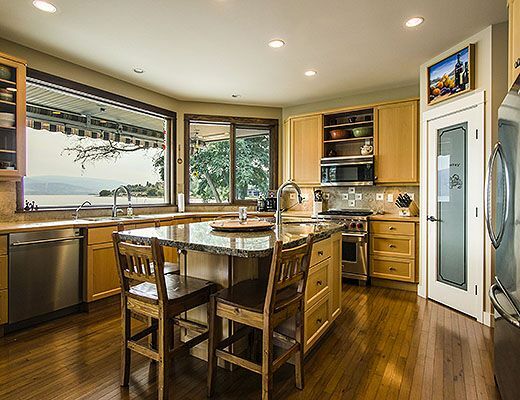 The spacious kitchen features stainless steel appliances, a gas range and island seating. 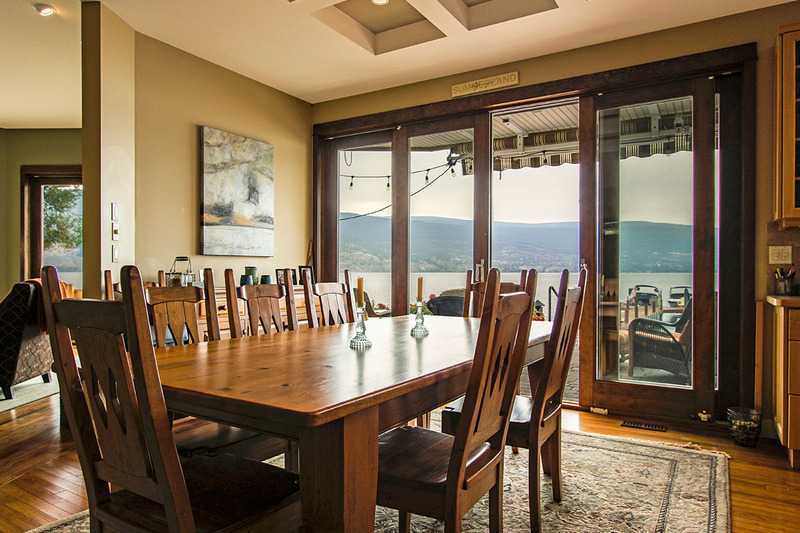 The open concept dining room can seat 8 guests and enjoys a spectacular lake view. 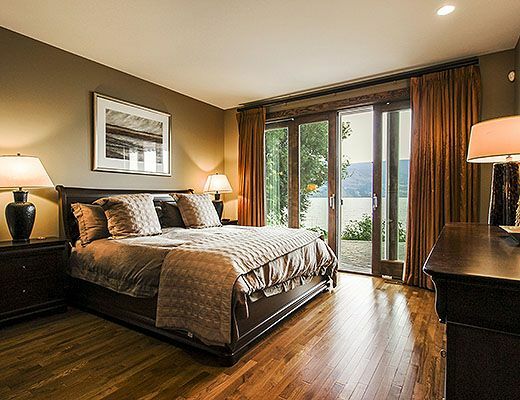 The master bedroom is furnished with a King size bed and features a private ensuite as well as walk-out access to the lakefront patio. 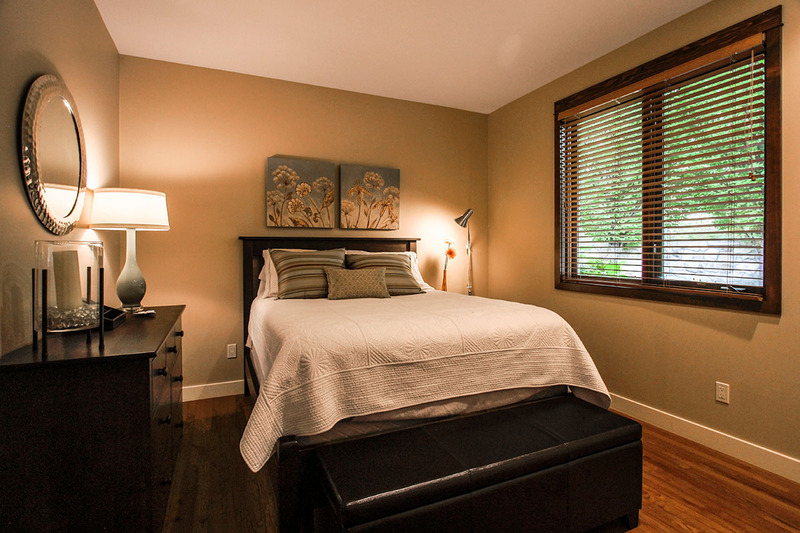 The second bedroom is furnished with a Queen size bed and offers easy access to the homes main bath. 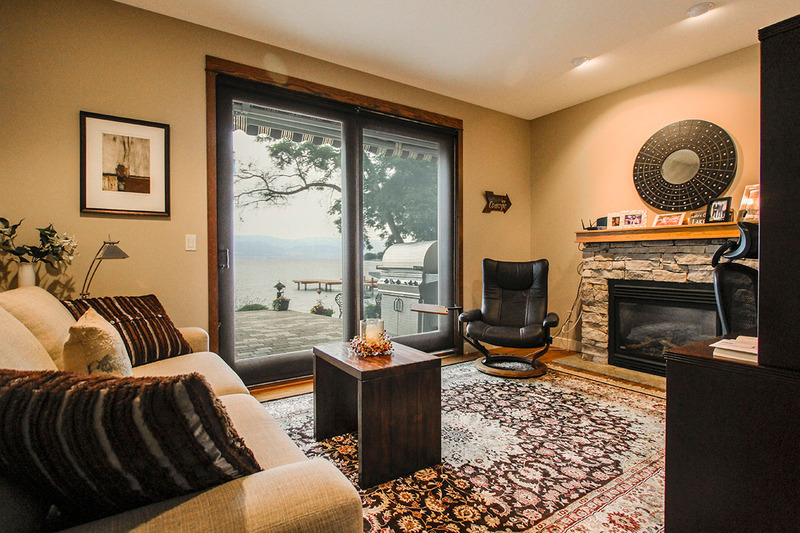 The third bedroom has a Double Sofabed and also provides walk-out access to the lakefront patio. 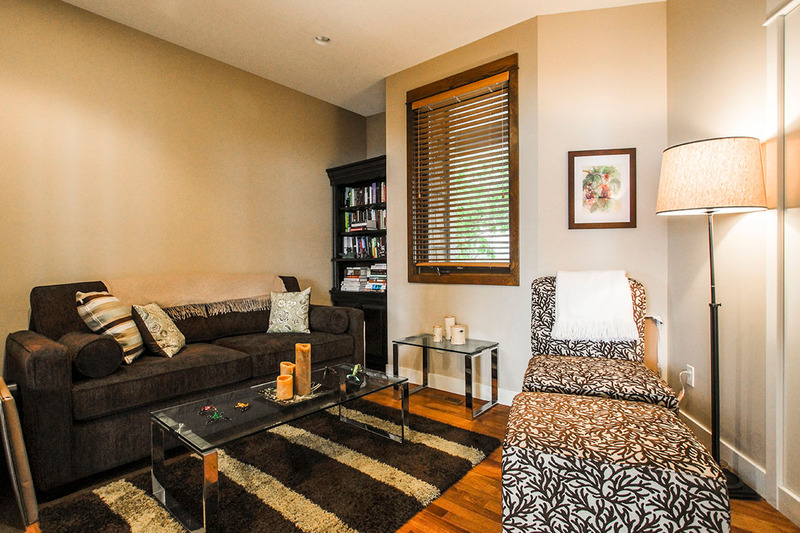 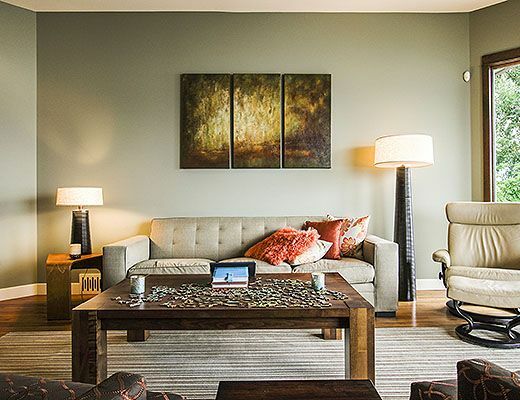 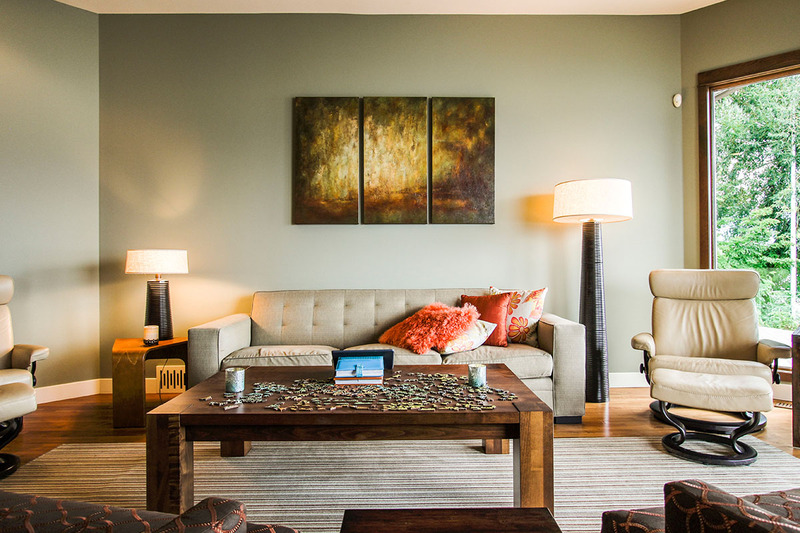 An additional den with a Double Sofabed completes this home. 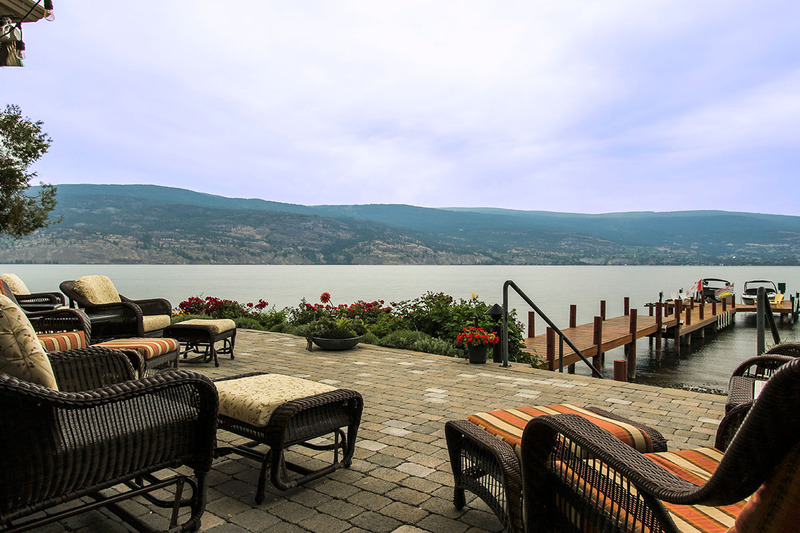 Special Note: ***Rates just lowered to $5,000/wk for the rest of the summer!